Since 2007, Dunes & Desert organizes many buggy activities. 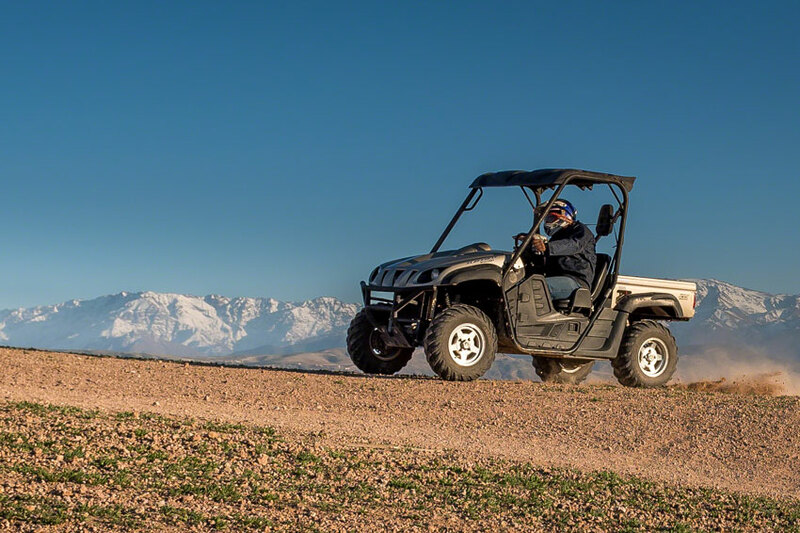 These two-seater vehicles are perfect for discovering exceptional landscapes close to Marrakech. Come discover with our team the Jbilets stone desert, located north of Marrakech, or the stone desert of Agafay. 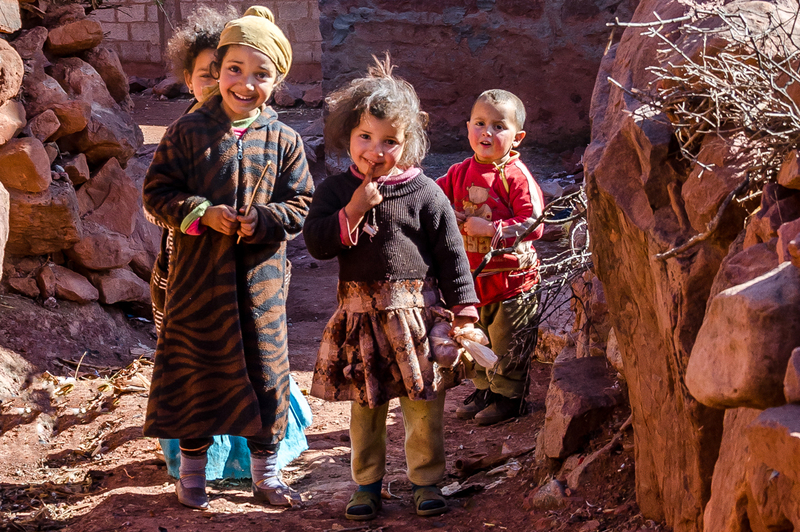 On each route, you will cross Berber villages and meet the inhabitants of the desert. Our buggy activities can be half-day or full-day. 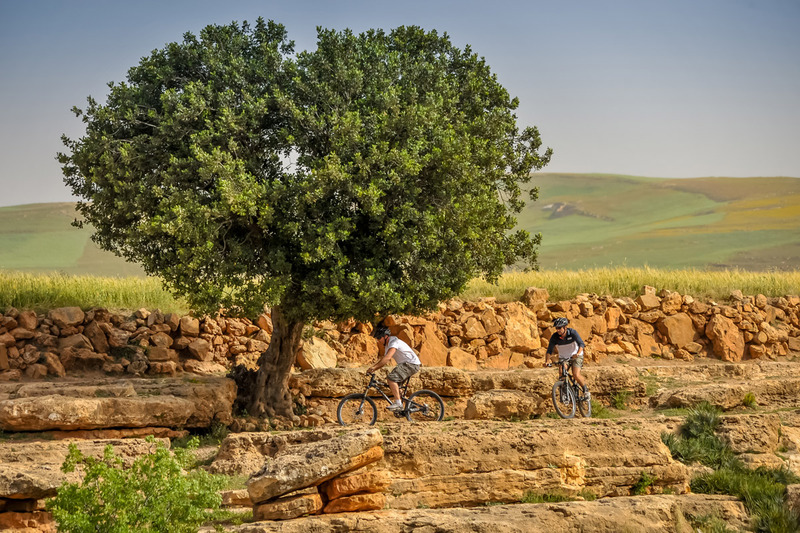 Your guide will take you on unique trails, planted in the heart of the Moroccan countryside or in the heart of the desert. These are memorable moments of holidays that we propose you. With half day tour, you will enjoy a break with the locals who will offer you mint tea and Moroccan crepes. With full day tours, a tajine will be served at a friendly Berber family. You can also practice this activity combined with the camel activity which is the activity not to be missed during your stay in Morocco! 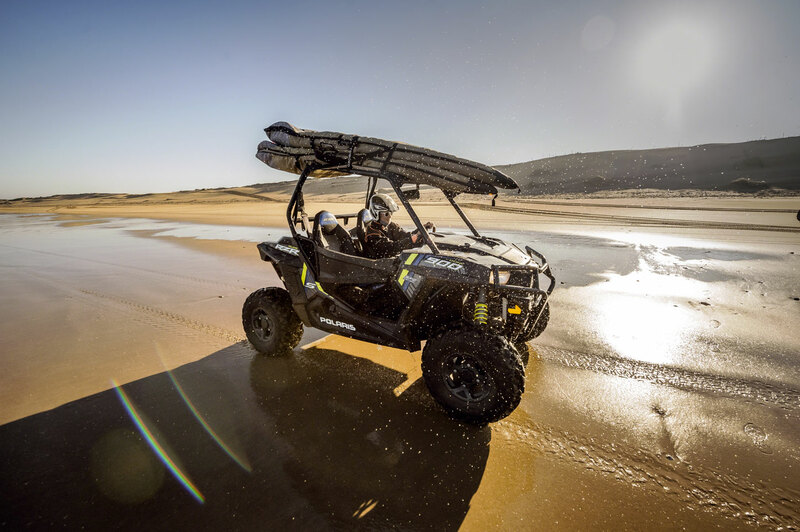 We also offer buggy outings from the Lalla Takerkoust, starting from Marrakech, to discover the famous lake and the stone dunes of the Agafay desert. Dunes & Desert team is at your disposal for any further information. Check out our reviews on Trip Advisor and do not hesitate to contact us. Our entire team is at your disposal! Want to explore the surroundings of Marrakech? Why not aboard one of our Yamaha Wolverine buggies? Total escape and adrenaline guaranteed! Enjoy a moment of pure adrenaline around Marrakech with one of our buggy rides! 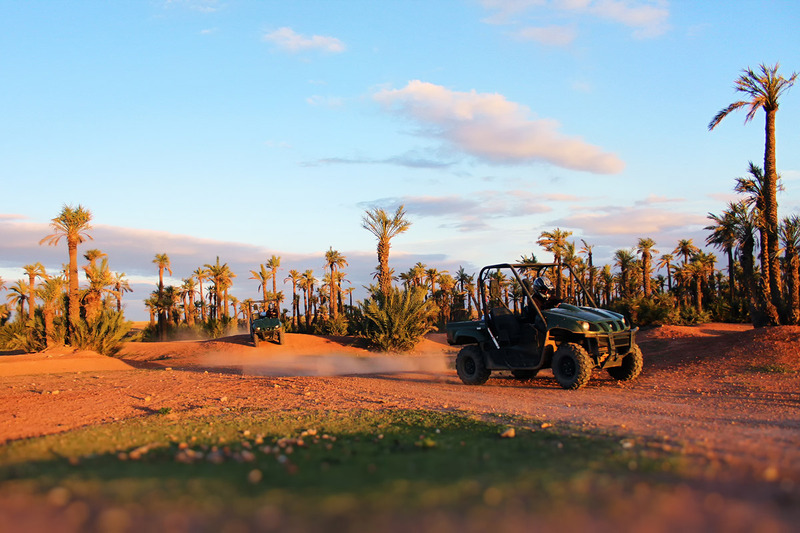 These two-seater vehicles are perfect to slalom between palmtrees, crisscross the tracks of the Jbilets stone desert in the north of Marrakech, or rush on the hills of Agafay rocky desert. Our rides are for all levels: whether you are a beginner or an expert, you will always spend very good time, accompanied by our professional guides who will take you off the classic tourist trails. The Jbilets desert is located north of Marrakech and offers a breathtaking sight: a stone desert with sharp rocks you can slalom, and a stunning view of the Marrakech palmgrove and the snowy peaks of the High Atlas background. 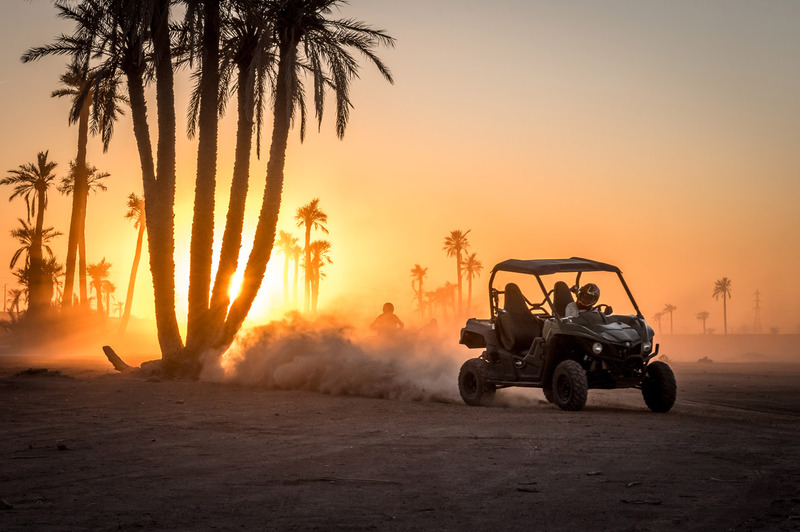 It is the ideal place to ride a buggy through “oueds” (rivers), stretches of stones (“reg”) and palm groves … Fun and adrenaline guaranteed! The Agafay desert southwest of Marrakech offers large dry land and arid hills. You can even cross some Berber villages. The desert offers many trails for all levels, so it’s the perfect place for a family day. Lalla Takerkoust Lake and its surroundings are perfect for an exotic ride, with its many tracks crisscrossing between eucalyptus just at the foot of the Atlas Mountains. Even better in winter when the Atlas Mountains are still snowy. It’s a sublime landscape you’ll remember all your life, and perfect for your instagram pics! Our buggy rides are adapted to all levels to allow you to have fun with your family (children are welcome) and / or with your friends. If you are a beginner, our guides will take the necessary time to teach you how to handle the vehicle and make sure you have an unforgettable moment! We own 5 buggies, model Wolverine 700-R Yamaha, all almost new (less than a year). Equipped with a single cylinder engine of 708 cm3, our buggies are pleasant to drive also on flat ground that on rough road. Capable of speeds of 85 km / hour on mountainous roads, this racing car will give you adrenaline and safety. Why choose Dunes & Desert? 1 / To go out of the classic tourist roads: by choosing a buggy ride with Dunes & Desert you are sure to discover authentic tours, only in small groups or even private rides, far from the tourist mass. 2 / For security: all our guides are bilingual French / English to answer any of your questions. They are of course all certified Croissant Rouge to ensure maximum safety during your ride. 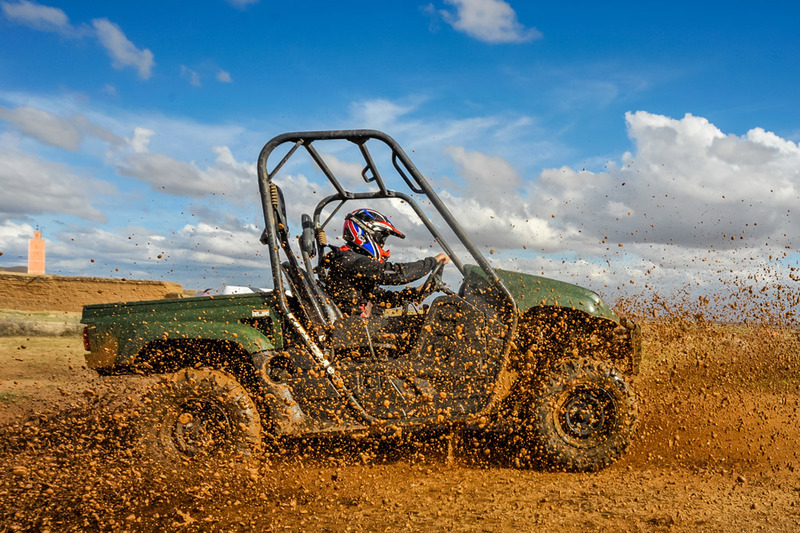 Our Yamaha Wolverine buggies are new and well maintained, because for us, your safety comes first! 3 / Fun: with our light and easy-to-drive Wolverine buggies, you are sure to have an unforgettable moment ☺ We also offer you a lunch break or a snack with the locals (according to the chosen formula) to discover the Berber culture! Included in every formula: the return transfer from your hotel or riad in Marrakech, water bottles, helmet and mask at your size, and a lunch break or snack homestay according to the chosen formula. For all our buggy trips, we recommend you to wear comfortable clothes, not too tight, and warm in winter (November-March). We recommend wearing closed shoes (avoid flip flops) and long pants. Do not forget sunscreen in summer! 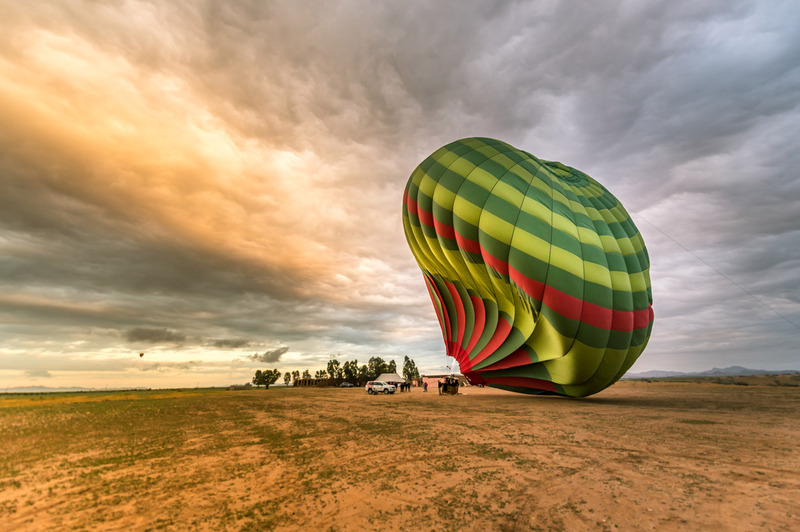 Dunes & Desert is a fun activities designer, specializing in quad bike and buggy rides, camel rides, stand-up paddling, mountain biking, trekking, hot air ballooning and many other hobbies. We offer many activities and buggy excursions. Owners of 5 brand new Wolverine buggies and with several hundred positive reviews on Trip Advisor, our reputation is well established in Marrakech. Choosing an activity with Dunes and Desert is the assurance of an unforgettable day! Choose the bests to spend the best moments!